Having a positive quality management system, we are involved in presenting a comprehensive compilation of EtchAL Chemical. We are remarkable enterprise, instrument in offering superior quality Aluminium Cleaner. 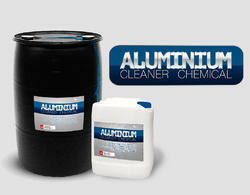 We are highly indulged in bringing forth Aluminuum Cleaner. AMC-AK the Aluminium Metal Cleaner is used for cleaning aluminium molds, plates and trays used in baking industries. This highly potent cleanser cleans burnt proteins and sugar, which stick to the surface of the molds & trays. “RKT U1 ALU is a water based solvent free cleaner for industrial cleaning of components. 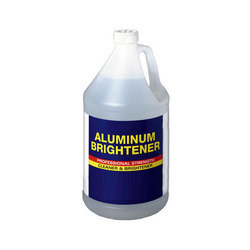 We are indulged in bringing forth an all-inclusive variety of Aluminium Brightener. Quantity Per Pack: 8 Kgs, 16 Kgs & 50 Kgs. Usage Temperature: Not critical, 10 º C. up to 90 º C.
Aluminium Cleaning Chemicals are used for cleaning or removing the oil, fatty acids, dirt oxide layer from the aluminium surface.